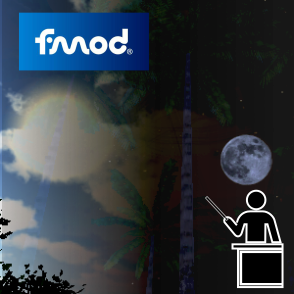 FMOD is a fantastic piece of audio Middleware created by Firelight Technologies. Just like the basic Unity version, this level is built to teach ideas of branching and looping structures inside an interactive 3d maze environment. 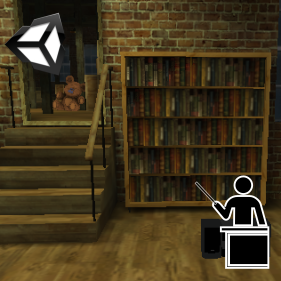 The main difference is that the lesson plan comes with a full description of how to create your music implementation using FMOD studio and then export and integrate that design inside of Unity 3d using the FMOD toolset. Comes with a complete level and lesson plan for developing music tracks that change as the player moves thru the maze, along with instructions on how to use FMOD. This is the same version featured in the free application that comes with the book, The Essential Guide to Game Audio, The theory and Practice of Sound For Games by Focal Press. 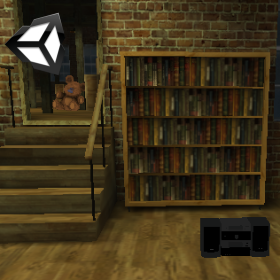 The complete package comes with a Unity level, step by step instructions on how to implement music and more. 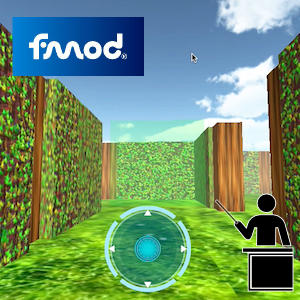 This is the perfect level for teaching the basic concepts of interactive and adaptive scoring using the FMOD toolset. 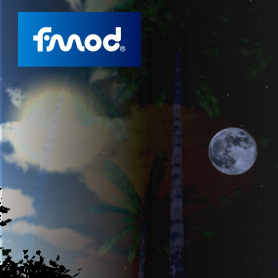 NOTE: This project has been updated to the new version 2.0 Unity FMOD integration, and is not compatible with versions older than FMOD Studio 1.08.